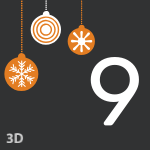 To commemorate 3D Printing Day (3 December 2018), take a look at our highlights from both 3DMedNet and the Journal of 3D Printing in Medicine. 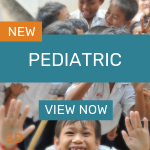 Find out more about our fundraising campaign and catch up on the top stories in the world of medical 3D printing. 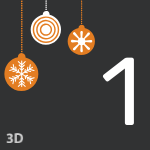 Happy 3D Printing Day 2018! 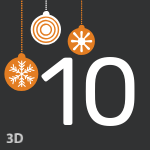 To celebrate 3D Printing Day 2018, we have decided to put together a special feature looking back at some of our top pieces of content from throughout the year. 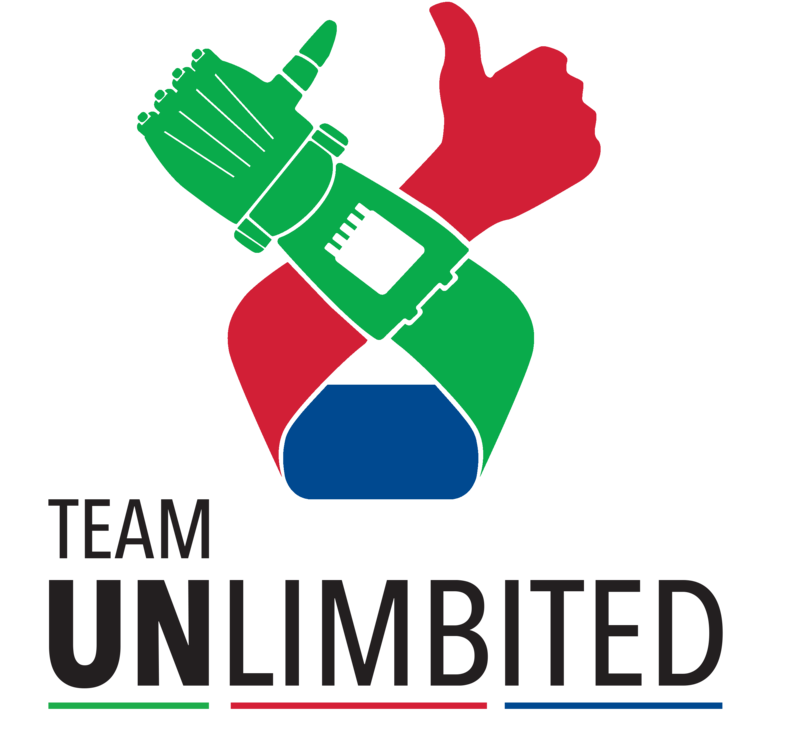 In the spirit of seasonal festivities, we have also raised GBP£360 for Team UnLimbited (Swansea, UK), a charity dedicated to R&D efforts in the development of new assistive medical devices as well as research into materials and functional improvements, sharing all of their work via an open source platform for non-commercial use. With a gallery full of delighted recipients modelling their personalized, custom made hands and arms, 3DMedNet is proud to support the UK charity. “Combining low cost FDM 3D printing with our open source arm design has allowed us to help change the lives of limb-different people around the world. 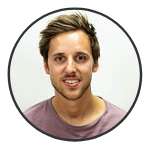 Team UnLimbited have directly helped approximately 100 recipients in the UK and open sourcing our work with a creative commons license has extended our reach to help thousands on a global scale,” explained Stephen Davies, Co-Founder of Team UnLimbited. “From deepest Africa to high in the Himalayas, from the West Coast of America to the edge of the Far East, we see how our simple, low cost design is having an impact on the lives of many. 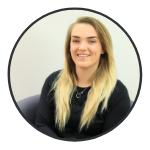 Everyone is limited by their own belief in their ability and we hope to inspire and celebrate limb difference, and continue to develop the UnLimbited arm open source for the benefit of all,” Davies added. 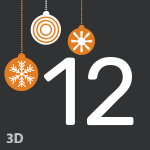 This year has been another successful year for both 3DMedNet and the Journal of 3D Printing in Medicine, as we have taken great pleasure in publishing more research and news stories with common themes including the adoption of 3D printing for medical devices, personalized prostheses, medical nanotechnology, pharmaceuticals, surgical guides and the bioprinting of various tissues. 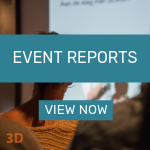 Other highlights have included attending events such as TCT Show (Birmingham, UK; 25—27 September 2018) and a Pint of Science event in London (UK). As we look ahead to 2019, we are keen to hear from you about which events you will be attending, so please let us know! We are always keen to accept conference reports written by guest editors and are also happy to discuss how we can support your events. 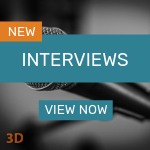 As 3DMedNet continues to expand, we have created more channels to meet the demands of the growing field. Read on to find out more about new and updated channels. Watching 3DMedNet grow as the industry develops has been a real delight. I am looking forward to meeting more of you and sharing your stories as we move into 2019 – watch this space for new and exclusive features! 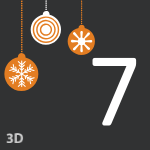 Scroll down and click on the calendar doors to learn more about our top content this year – one story for each day of Christmas! 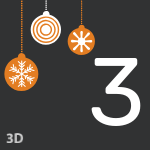 To all of our readers, the Future Medicine editorial office would like to wish you a happy new year and introduce you to the third volume of the Journal of 3D Printing in Medicine. I would like to start the year by thanking our readers, esteemed Editorial Board, peer reviewers and contributing authors for their continued support. We very much look forward to working with you all in 2019 and seeing the journal continue to progress. 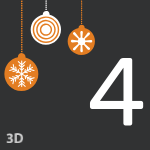 We greatly look forward to collaborating with you next year and hope to see the Journal of 3D Printing in Medicine growing and having even more impact in the scientific community in 2019. CELLINK (Gothenburg, Sweden) have been awarded a EUR€2.5 million grant from the European Commission to develop and commercialize their project, ‘TumorPrint’, for the benefit of research into cancer tumors and their cellular reactions to different pharmaceutical compounds. The aim of the project is to develop and commercialize a bioprinting platform for the specialized printing of human cancer tumors. This is set to include bioinks as well as specially designed hardware and software. “As I have been keenly following Shark Week, I wanted to turn my attention to the potential applications of bioprinting cells, a technique which may have the capacity to aid wound healing and therefore be an effective treatment strategy for victims of shark bites, amongst other emergency injuries. In 2017, the International Shark Attack File reported to investigate 115 incidents of shark bites . Injuries from shark bites can be life changing, as victims may enter lifelong debilitating conditions and injuries can leave victims permanently scarred. 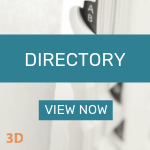 Over the years, the 3DMedNet team has covered many different projects working towards the bioprinting of skin, and with members now enjoying free access to the Journal of 3D Printing in Medicine, I wanted to take the opportunity to feature some of the most interesting research and advances in the 3D printing of skin.” - Georgi Makin. 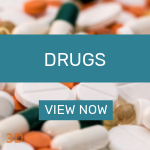 In this editorial, Georgi Makin investigates how 3D printing could be used as a weapon in our arsenal against the threat of antimicrobial resistance as 3DMedNet commemorates World Antibiotic Awareness Week. A team from the University of Newcastle (UK) led by Professor of Tissue Engineering, Che Connon, have developed the first 3D printed human cornea. Utilizing an alginate and collagen matrix, the team have encapsulated live corneal stem cells and printed them to form a viable living cornea, made to personal specification. In time, the group's work could provide the solution to a global shortage of corneas for transplantation. A study published in Advanced Materials describes a research team’s success in the development of a bionic eye, made entirely from a 3D printed array of light receptors on a hemispherical surface. A world first, the prototype could be a giant leap forward in tackling impaired sight. 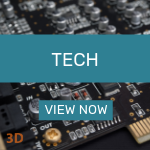 "Bionic eyes are usually thought of as science fiction, but now we are closer than ever using a multimaterial 3D printer," explained Michael McAlpine, Benjamin Mayhugh Associate Professor of Mechanical Engineering at the University of Minnesota (MT, US). Researchers from the University of Texas at San Antonio (TX, US) and Southwest Research Institute (TX, US) have designed and are working to develop a 3D printed biodegradable device for the personalized delivery of pharmaceuticals for the treatment of infections and ailments such as arthritis, cancer and AIDs. 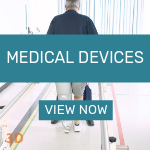 The device has potential for removing issues associated with patient compliance in the frequency and dosage of drugs taken, thus increasing the effectiveness of prescribed courses of treatment. By controlling and personalizing drug delivery in an implantable device, researchers hope to reduce the amount of pills taken by the patient, or clinical visits required throughout the course of treatment. A Slovenian father has utilized 3D printing to produce high quality, patient specific orthotics that have allowed his son, who has cerebral palsy, to walk, run and even dance unaided. Faced with a lifetime of either inadequate and uncomfortable premade orthoses or expensive, custom products that would be rendered obsolete as his son Nik grew, Matej Vlašič combined 3D scanning and a Form 2 stereolithography 3D printer to produce the orthotics that address Nik’s low muscle tone and short Achilles tendon. The American Society of Plastic Surgeons has suggested 3D printed models could be utilized to plan and conduct rhinoplasty surgery, one of the most frequently performed types of cosmetic surgery. This was detailed in an article published in Plastic and Reconstructive Surgery®. The growing availability of 3D printed technology has allowed the creation of printed models of the proposed appearance of the new nose. 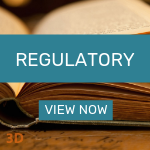 Once both the patient and surgeon have agreed on the 'idealized outcome' of rhinoplasty, the digital images of the patient's current appearance and simulated outcome are converted into 3D printed models using polymer resin. For a more detailed and lifelike appearance, full-color models are printed using gypsum powder. 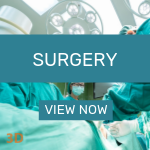 During surgery, the surgeon can refer to the 3D printed models as a 'side-by-side reference'. This will help to ensure the outcome of the rhinoplasty is as close as possible to the planned appearance. 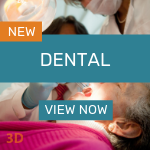 University at Buffalo (NY, USA) researchers have utilized 3D printing to create dentures which are filled with microscopic capsules that periodically release Amphotericin B, an antifungal medication. This is to combat the fungal infection, stomatitis, which frequently affects almost two-thirds of denture-wearers. 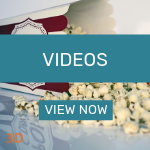 A study published in Advanced Materials describes a method for the 3D bioprinting of tubular structures to mimic native vessels and ducts in the body, with finely-tuned properties in the printed tissue to allow for multiple layers and nutrient transport. "The vessels in the body are not uniform," explained Yu Shrike Zhang, Associate Bioengineer in the Department of Medicine at Brigham and Women’s Hospital (MA, US). "This bioprinting method generates complex tubular structures that mimic those in the human system with higher fidelity than previous techniques." 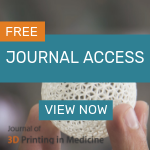 A student from South Ural State University (Chelyabinsk, Russia), has utilized 3D printing to design voice prostheses for patients recovering from laryngectomy procedures - where the larynx is completely removed - compromising speech. Implanting a voice prosthesis in a cancer patient undergoing a laryngectomy procedure is not uncommon practice in the developed world. Plastic prostheses work by allowing for the exhalation and subsequent forwarding of air from the trachea to the esophagus, causing the walls of the esophagus and lower pharynx to vibrate, thus producing a noise. However, the conventional, plastic-based prostheses do not come without their problems, and can be expensive to import. Transcatheter aortic valve replacement (TAVR) is a procedure used to treat intermediate, high-risk and inoperable patients who have experienced severe narrowing of the aortic valve. TAVR involves the implantation of a prosthetic aortic valve, replacing the damaged valve. Patients who undergo TAVR are at risk of paravalvular leak around the new valves, which could lead to higher mortality rates; therefore, there is a demand for research into techniques which may prevent leaks from occurring. Results from a new study presented at the Society for Cardiovascular Angiography and Interventions (SCAI) Scientific Sessions (25–28 April 2018; CA, USA) suggest success in utilizing 3D printing technology to help confirm and detect the location of a leak. 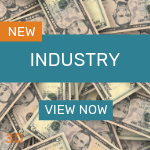 To reflect how much the field has developed over the last year as well as the growing number of medical applications 3D printing can benefit, 3DMedNet has expanded. 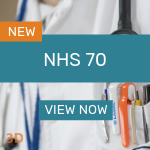 New channels include ‘Dental applications’ and ‘Industry insights’, as well as ‘NHS 70’ and ‘Pediatric applications’ to commemorate awareness days. You can peruse all of our channels and updated features below. If you think anything might be missing, please let us know. 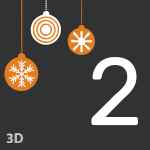 We are always keen to hear feedback and ideas for development for 3DMedNet. 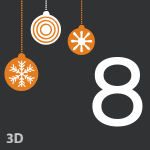 3DMedNet is a networking site where users can share their knowledge and insights. 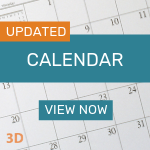 This profile will share some content and updates from the 3DMedNet team, including webinars, news and journal articles. 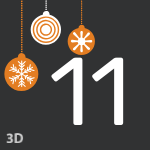 It's been such a great year for 3DMedNet and I can't wait to see where 2019 takes us!